The Agrisure Artesian® 3011A trait stack brings together an elite hybrid that maximizes yield when it rains and increases yield when it doesn’t with better control of damaging corn insects and herbicide flexibility. Agrisure Artesian 3011A provides improved yield consistency by converting water to grain more efficiently than other hybrids, control of corn borer and corn rootworm, and tolerance to both glyphosate and glufosinate based herbicides. The Agrisure® 3122 E-Z Refuge® trait stack offers the convenience of an integrated refuge featuring two modes of action against corn borer and corn rootworm, as well as control of ear-feeding corn insects. Agrisure 3122 E-Z Refuge is a good addition to a multi-year corn rootworm management plan. Conventional corn seed is bred from the latest genetics for improvements to yield and agronomic performance without genetic engineering for the addition of pest and disease resistance traits. The Agrisure® GT trait provides excellent tolerance to in-crop applications of glyphosate-based herbicides. This hybrid is an excellent option for refuge acres in a structured refuge operation. 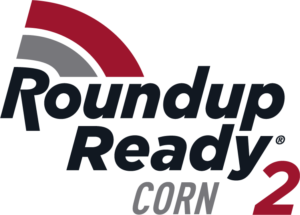 Roundup Ready® Corn 2 contains in-plant tolerance to Roundup® brand herbicides, enabling growers to spray Roundup® brands over the top, from planting through the V8 stage or 30-inch corn height, with excellent crop safety and no yield reduction. Compared to popular conventional corn programs, the Roundup Ready® Corn 2 system costs less, while allowing hybrids to reach their maximum yield potential. While the U.S. regulatory agencies have given full approval to Roundup Ready® Corn 2 for commerce in the U.S. for marketing and consumption as food, food ingredients and feed for livestock, certain regulatory approvals are pending in certain export markets. For more information on these approvals, or for assistance in locating domestic grain outlets, see the American Seed Trade Association website (www.amseed.org) or contact Monsanto directly at 800-768-6387. Genuity® VT Triple PRO® RIB Complete® Corn Blend is a mix of 90% traited and 10% refuge seed. With refuge-in-a-bag, there’s no need to calculate or plant separate, structured refuge in the Corn-Growing Area. Dual modes of action protect against corn earworm and other aboveground, ear-feeding insects. An additional single mode of action provides protection from below-ground pests like corn rootworm. SmartStax® RIB Complete® Corn Blend is a mix of 95% Bt. traited, 5% refuge seed. You get all the benefits of Genuity® SmartStax® technology, plus the convenience of 5% refuge seed interspersed in every bag. It has proven to have a 10 bu/A advantage over non-Bt. traited corn and a 20 bu/A advantage over non-Bt. treated corn and a soil-applied insecticide. DroughtGard® Hybrids with VT Double PRO® RIB Complete® Corn Blend contain the first double-stacked trait with dual modes of action for above ground insects and maximum protection against corn earworm. Superior genetics along with innovative drought-tolerant trait technology helps DroughtGard® Hybrids withstand drought conditions for a better chance of maximizing kernels per ear and overall yield potential. VT Double PRO® RIB Complete® Corn Blend is a mix of 95% traited and 5% refuge seed. With refuge-in-a-bag, there’s no need to calculate or plant separate, structured refuge in the Corn-Growing Area. It contains dual modes of action for maximum protection against corn earworm and other above-ground pests, like European and Southwestern corn borers and fall armyworm.